I think most people thought ‘666 Park Avenue’ and ‘Nashville’ would be slam dunks, while ‘Last Resort’ would struggle. ‘Nashville’ was the best reviewed show of the year. I’m not quite sure while it hasn’t caught on. ABC should definitely give it a better time slot. Perhaps move it to Tuesdays where there’s a vacuum of solid shows? As for ‘666 Park Avenue,’ the problem with that show is that the writing is really cheesy. It’s supposed to be scary. In reality, it’s just silly. ‘Last Resort’ is on an island (pun intended). It really doesn’t pair up well with anything else on ABC’s lineup and it is fairly high concept. I can’t help but wonder if the show would have done better on CBS. 5. American Horror Story – I’m still not sold on ‘Asylum’ yet. I like the ambiance but there’s something missing that I can’t put my finger on. 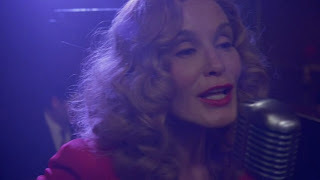 Still, Jessica Lange is still all kinds of awesome. This week gave us some of Sister Jude’s back story - -including the fact that she was a lounge singer and um. . . popular with the townspeople. Not only that, she once got drunk and mowed down a little girl and kept on going. Exactly what kind of nun is she again? 4. Once Upon a Time – The Rumplestiltskin-heavy episode (no Emma and Snow in sight) shed some light on his tortured past. Not only was he a walking doormat, but he was also a rampant coward when he was human. I guess that’s why he is such a bully as The Dark One. Still, I was actually rooting for him to kill his wife. 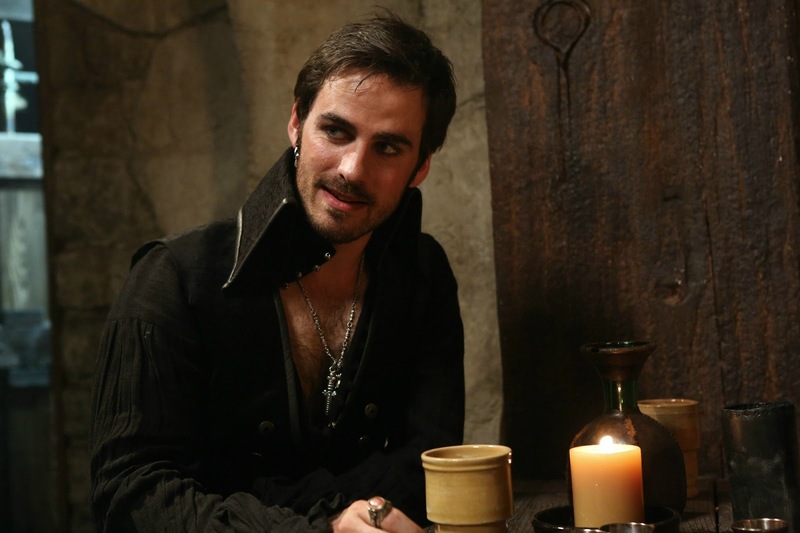 And, while I find Hook intriguing, I’m much more interested in Smee’s backstory. 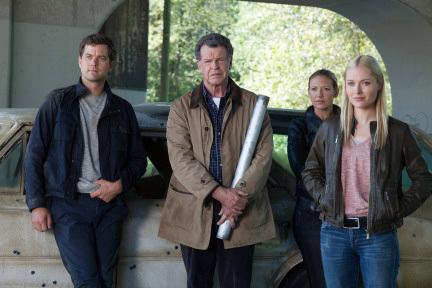 This show has been solid this season – but I don’t like the diverging storylines. 3. 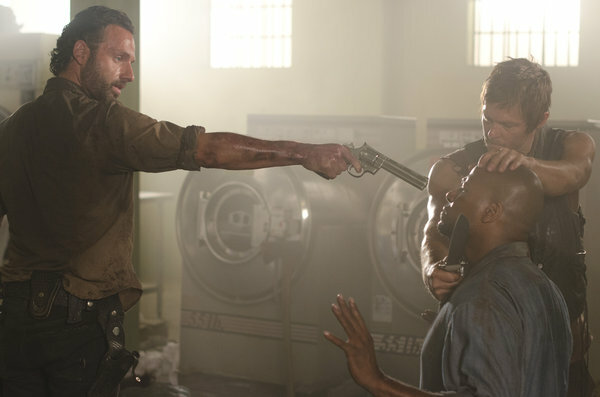 The Walking Dead – Rick is not taking anyone’s crap this season. The old Rick would have made excuses for a guy that tossed a walker on him. This Rick? No way. He buries a machete in his head. Then, he takes a guy that really had nothing to do with the situation and chases him outside where he leaves him to be walker lunch. This is not the Rick we’re used to. Not only that, he also rebuffed wife Lori’s attempts to repair their fractured marriage and he’s become emotionally distant from just about everyone in the group. Change is good, but I miss the old Rick. Anyone else more excited for Merle’s return this week rather than the Governor’s introduction? 2. Switched at Birth – The final run of episodes to finish off the first season was a definite step down in quality. Still, I was glad to see Daphne’s crush on the creepy older guy that slept with her best friend’s mother come to an end. If she ends up pregnant, I’m going to pitch a fit, though. I think showing the birth control pills was pretty heavy handed. This show has enough going on without knocking up one of the teens. I also liked that John and Emmett tracked down Bay – and Emmett’s heartfelt “I will always come find you.” Anyone else less than thrilled to see a pregnant woman come in and ask for Angelo in the waning seconds? The last thing this family needs is another player. 1. Fringe – Color me surprised Batman. I didn’t see Friday’s death coming. Sure, this is the final season of a cult show which has nothing to lose. Still, though, killing off the newest member of the “team” in the waning moments of the episode amidst a shootout was a gutsy move. I was never a big fan of Etta. In fact, I thought she was a double agent a lot of the time. Still, I am excited to see what ramifications her death will wreak over the final run. Don’t Trust the B---- in Apartment 23 -- I loved ‘Dawson’s Creek.’ If there was one actress or actor from that show I would have wanted for a fun cameo, it wouldn’t have been Busy Phillips. Give me the core four please. That being said, Zach Morris stole the show. Parenthood – This show has completely lost the fun. 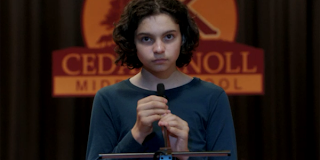 While I truly felt for Kristina when she lied to her daughter and said she was cancer free – even though she still has to go through chemotherapy – so she would go back to college my favorite moment of the episode was Max’s stirring speech for class president. That kid is clearly the star of the show right now. Kudos to Amber’s new love interest, too. 666 Park Avenue – Terry O’Quinn clearly has “must work opposite smoke monster” as one of the lines in his contract. Gossip Girl – Serena is completely unlikeable right now. The way she is treating Blair is unbelievable. Nate’s relationship with the underage girl isn’t doing any favors for him either. And Dan? Anyone wish he’d get hit by a truck? Still, the closing scenes of Chuck and Blair snuggling up together were worth watching the entire thing. Supernatural – This was probably my least favorite episode of the show’s entire run. Still, I found Dean’s new “thought process” on monsters interesting at the end. What do you think? What were this week’s top entertainment moments?